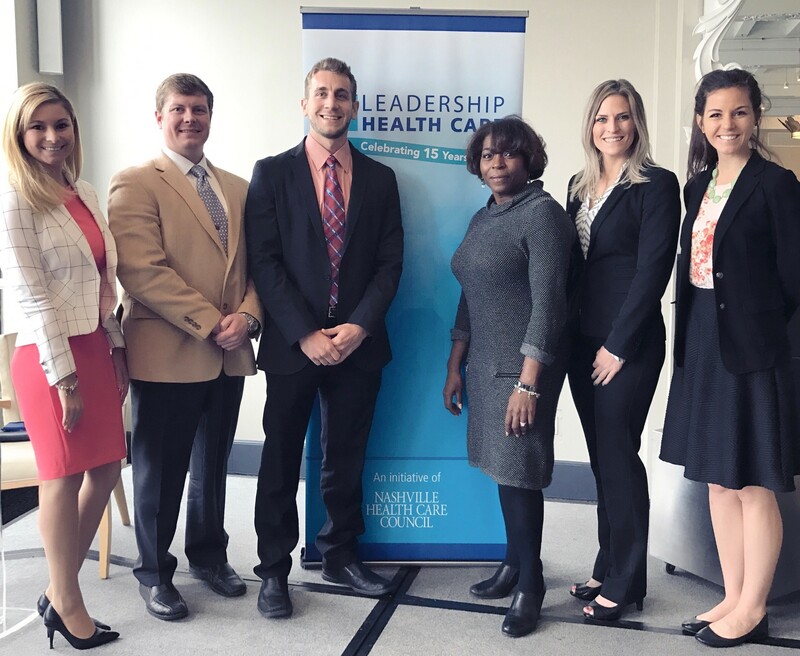 Five students and one associate professor from the Belmont University College of Pharmacy recently attended the Nashville Health Care Council’s Leadership Health Care (LHC) initiative, along with a group of more than 100 health care leaders, on its annual two-day delegation to Washington, D.C. This year’s event provided delegates with an inside look at the state of health care policy under the new administration and predictions about what developments may unfold to impact Nashville’s $78 billion health care industry. The delegation featured discussions with members of Congress such as U.S. Representative Diane Black (R-TN) and U.S. Representative Jim Cooper (D-TN). The other key health care leaders who participated in discussion panels were Jay Perron the Vice President of America’s Health Insurance Plans, Chip Kahn the President and CEO of the Federation of American Hospitals, and Michael Ramlet, the Founder and CEO of the Morning Consult.